Rating: 1 The program promises that email processing will make you rich. The Good: The only pro I see with Profit with Jay is that the sales page is short and (mostly) to the point. The Bad: Program cons include lying about its true intent, providing false customer testimonials, and even posting a news video that has nothing to do with this actual "opportunity." This is just envelope stuffing in the modern era. The Bottom Line: There are far better online income opportunities than Profit with Jay. Steer clear of this $25 sham opportunity. At I’ve Tried That, we review a lot of work-at-home jobs and online income opportunities. This is because there are many ways to make extra money, from affiliate marketing to blogging to freelance writing. We then hear from a guy who supposedly uses Profit with Jay to make lots of money. He explains that, once you sign up to this system and pay a $25 fee, you receive step-by-step instructions that teach you how to do something called email processing. You also receive marketing materials and access to a members’ area. That’s all you learn about the actual program before this guy elaborates on his own rags-to-riches story and how he now makes a comfortable living from home thanks to email processing. From the screen shot shown above, it appears that your job will involve posting affiliate ads online, then following up on customer purchases with emails. A second testimonial confirms this idea- a guy sitting in his car elaborates on how he posted ads to Facebook and Craigslist in the morning, and then discovered that he’d been paid from those ads by the afternoon. These payments came in when customers clicked on his posted ads. Interestingly, each ad payment is exactly $25. 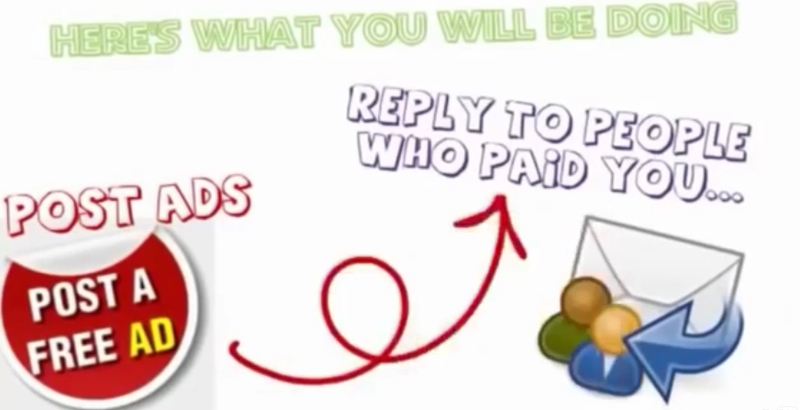 At the very start of this program’s video, it was stated that members receive a 100% commission for their processed emails. That means that the product is priced at $25. The Profit with Jay program is also priced at $25. Profit with Jay- could it be a modern take on the old Envelope Stuffing Scam? Jay states in his video that he’s been doing this program for the last four years; meanwhile, his video descriptor says six years. Jay shows off his Paypal account as “proof” that his email processing program works. Again, we see a long list of $25 payments from customers. Jay explains that this program is legit, and that additional information about how it works can be learned once it is purchased at $25. Jay assures hesitant buyers that his website does provide additional info about the program. The customers all refer to someone named James…but who is James? As for the testimonials themselves, they are very short and generic- and could be testimonials for just about any kind of online income opportunity. There is also no contact information provided on these satisfied customers. Aside from the testimonials and the example email, nothing further is noted about the program, its marketing materials, the aforementioned step-by-step instructions, or where you’ll be posting ads. Nothing further is stated about how your emails will be written, or whether you’ll receive additional training to craft them properly. 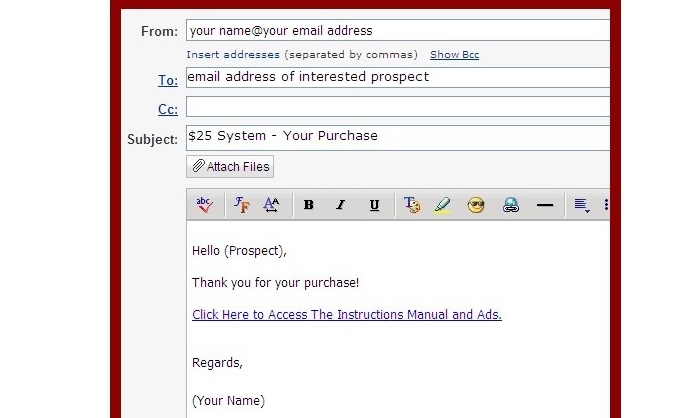 However, there is significant effort dedicated to having you buy the product, and then sell something very similar through email processing and advertising. This is nothing more than a modern take on the old envelope stuffing schemes. You pay $25 to learn how to trick other people to pay $25 so they in turn can deceive more people and this goes on until the FTC gets involved. Let’s say your curiosity gets the better of you and you decide to purchase the Profit with Ray program. Most online income opportunities come with a money-back guarantee. So, if you don’t like this opportunity, you can just ask for a refund…right? So, once you’ve made your purchase, the Profit with Jay system is yours to keep- whether you like it or not. Before you purchase Profit with Jay, understand that you may be throwing away not just $25, but any money thereafter that you spend on pay-per-click fees, advertising, etc. As the program itself states, there are no refunds for it or any of the associated fees. As a result, you’re better off passing on this “opportunity” and seeking real opportunity elsewhere. Yet another ‘educator’, who doesn’t make money from actual trading but makes it from selling membership. This one never gets old…. I am excited about this program! I am so tired of scams and fake promises!! I am going to try this and I do pray that it works for me.